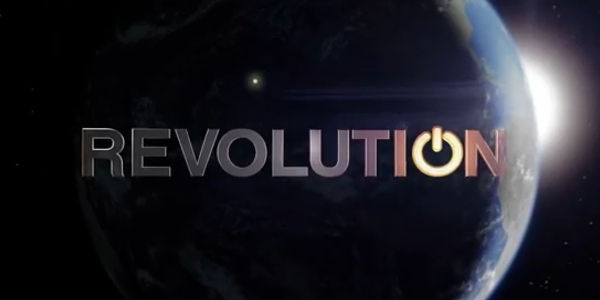 As there is much to see on TV these days I will just write a mini review of Revolutions latest episode. As the title may spoiler the episode finally takes us to the Georgia Federation were President Foster (Leslie Hope) holds the scepter. Rachel and Aaron meanwhile make their way to the Rocky Mountains but stop by an old acquaintance who reveals more secrets about the nanites. Paranoia strikes Monroe deeply as Neville disappears and word reaches him that Jason is with the rebels. Miles, Charlie and Nora infiltrate the Georgia Federation to chase the nuclear device, which Monroe has had Miles’ former protégé Alec plant in Atlanta, the federation’s capital. During a battle, Alec tells Charlie to ask Miles what he did to Rachel. 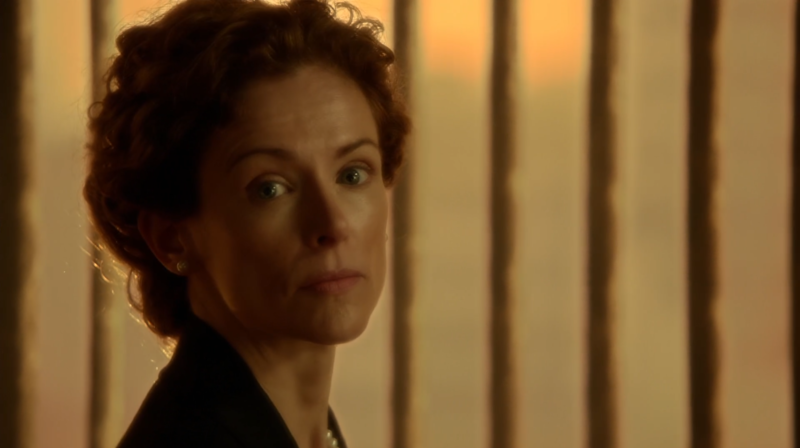 Miles is captured by Georgia police and turns out to have had a personal relationship with Georgia Federation president Kelly Foster, who ultimately frees him to find Alec. Miles kills Alec just as Monroe orders Alec to detonate the nuke. Meanwhile, Rachel locates her former co-worker Dr. Jane Warren (Kate Burton), who reveals that the nanites kept Danny and keep her partner Beth alive through their cancer-eating abilities. Jane believes that Rachel only wants to restore the power because Danny has died. However, at Beth’s urging, she provides Rachel with information that will permit her to turn off the nanites if she reaches the Tower. After the nuclear weapon has been disarmed, President Foster offers Miles command of an army made up of 200 soldiers from the Georgia Federation to help the rebels open a second front within the Monroe Republic. 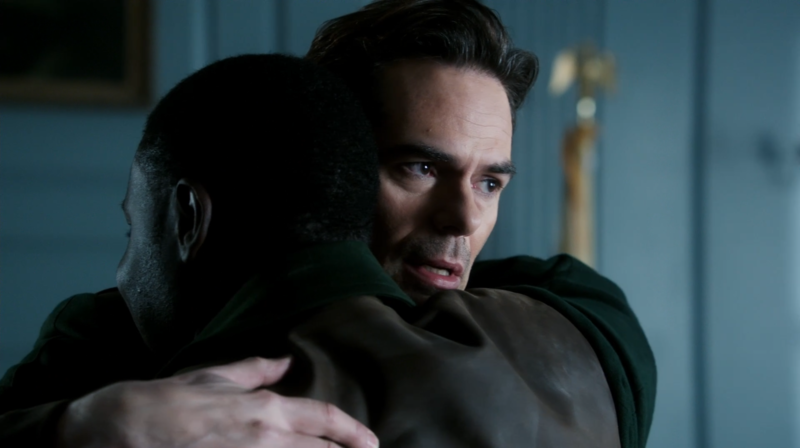 Flashbacks; Seven years after the blackout, Miles gives Alec a “lucky” knife from Miles’ father and grandfather, which he tells Alec to pass along to his own son, when he has one. 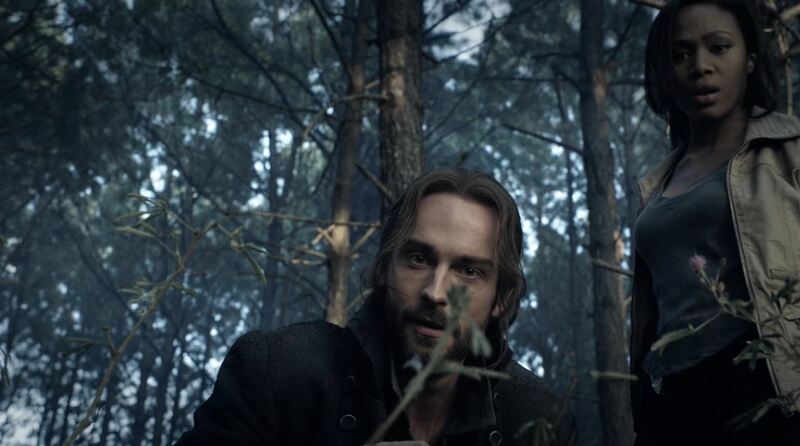 Nine years after the blackout, Miles has his troops turn Alec over to Texas after Alec’s attempt to assassinate the Texas leader failed and the leader could identify Alec. 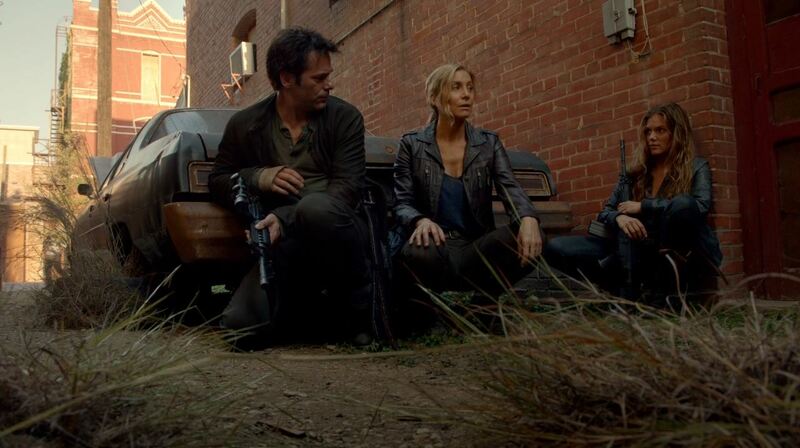 My personal feelings towards this episode are that it is probably the first ‘great’ episode of Revolution. I’ll bet readers have wanted to read that for like 13 episodes now. 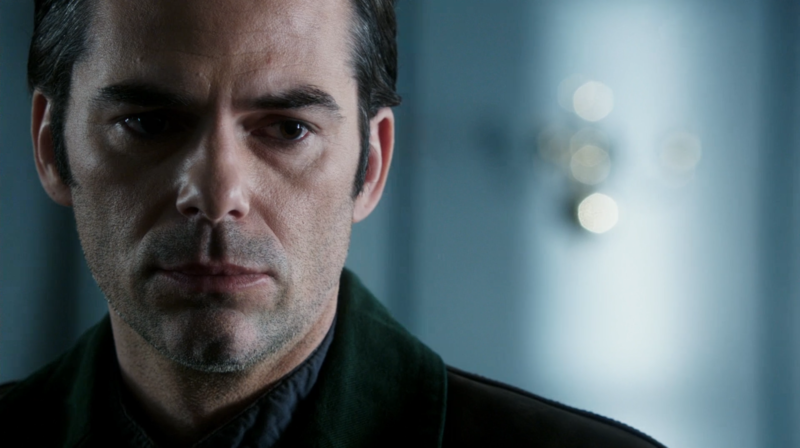 Revolution’s latest really manages to increase the scope of the series by including not only the Georgia Federation, but also a lot more on the background of Miles Matheson (Billy Burke) and associated characters. I would almost describe the scope as epic. That said, the episode is rife with inconsistencies related to the Revolution Mythology. We were told to believe that nobody could travel to Europe and now President Foster states that she does active trading with Europe and the British in particular. The death of Maggie in episode 4 thus loses impact as she thought she had no chance of ever seeing her children again. The only other major problem is that the plot with the nuclear bomb is resolved too quickly. Where as Revolution was before too slow it now moves too fast. In one episode Miles and Charlie manage to travel to Atlanta and find the nuclear bomb that Monroe had sent and destroy it. Ohhh, one more thing. Why would Monroe send it by foot soldiers if he also drops warning leaflets by helicopter? Can’t you just toss the bomb out of the helicopter? The revelation that the Monroe Republic is weak economical is also a bit confusing, as the audience were led to believe that they are very organized. 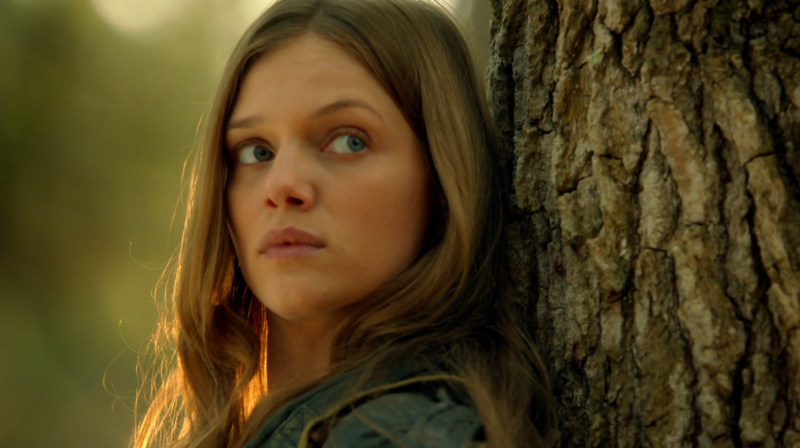 Some fans have kept up the criticism of Tracy Spiridakos as Charlie, but I think her performance is just fine. In this episode I have a bigger problem with Elizabeth Mitchell as Rachel Matheson, her performance or at least her character is far too emotional. Next story Star Trek: The Next Generation Season 3 Blu-Ray Review! Previous story Continuum Season 2 Premiere ‘Second Chances’ Review!